MARK COLVIN: Who'll be in charge of Aboriginal and Torres Strait Islander affairs in a Turnbull Government? Senator Nigel Scullion may stay as Indigenous Affairs Minister, but he's in the outer ministry - Tony Abbott always said Indigenous questions were his responsibility inside the Cabinet itself. The Aboriginal and Torres Strait Islander Social Justice Commissioner, Mick Gooda, wants Malcolm Turnbull to confirm that the Coalition will still go ahead with a referendum in May 2017. Mick Gooda says he's happy to continue working with Nigel Scullion, but has also suggested considering Aboriginal MP Ken Wyatt for the job. He's spoke to Anna Henderson. MICK GOODA: Everyone in Australia right now is waiting to see what happens over the next week or so with the new Cabinet, whether there's going to be any different ministry Government arrangements. ANNA HENDERSON: Do you feel like Nigel Scullion should remain in the portfolio? MICK GOODA: Oh look, it's not up to us to, or me in particular to determine, make any comment like that. I have a good working relationship with Minister Scullion, we have robust discussion, we have really really frank discussion - I'd like to see that continue. But whether Minister Scullion remains in his place is really a matter for the Prime Minister now. We do have an Indigenous member of Parliament, Ken Wyatt, maybe there could be something radical and he could be Aboriginal Affairs Minister if there is to be a change. ANNA HENDERSON: So, at this point do you feel like a change of leader might actually be a game-changer in a positive way? MICK GOODA: I don't know. I understand Malcolm Turnbull has been very positively talking about constitutional reform. Again, it's a wait and see over the next week or so where we can make contact with his office to start working out where we stand with constitutional recognition. I hope we just maintain the same timetable, you know, we've been at it now for - you know, I've been at it the whole time I've been in this job, getting onto six years of work. A lot of other people have been the same, or even longer. We've now got a timetable, we agreed with the Prime Minister and the Opposition leader about early 2017. I think we should stick to that timetable and I'd like to see a commitment from the new Prime Minister to that effect really, that he's committed to it, that we've got a process in place and that should just continue. ANNA HENDERSON: Now you heard Malcolm Turnbull's first remarks when he was elected by his party to the role of Prime Minister, among them he was talking about a more collegiate way of operating. Did you read anything into that for his engagement with Indigenous Australians? 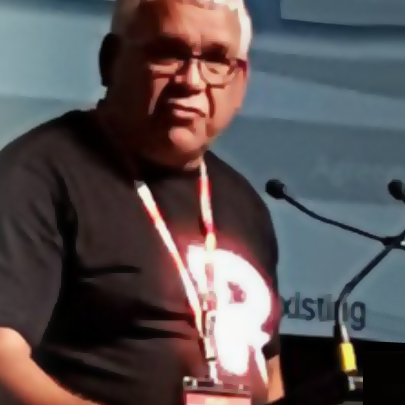 MICK GOODA: Well, when he talks about respecting the intelligence of the Australian community, I think he has to understand that and respect the intelligence within the Aboriginal community, that we do want to work through the problems that face us and face the country. I just hope that we're not just brushed to one side when this conversation happens with the new Prime Minister. As matter of fact, there'll be people who'll be very upfront about that, that we need this new relationship, we need proper engagement where both sides are respected, because that's the only way anything is going to change with our mob. Imposing solutions without the engagement of Aboriginal and Torres Strait Islander people will work for a little while, but they won't produce sustainable results and that's the message again I will be giving to the Prime Minister's office when I get the chance. MARK COLVIN: Aboriginal and Torres Strait Islander Social Justice Commissioner Mick Gooda speaking to Anna Henderson.